This episode of Hayate the Combat Butler had an insane number of references to Kamen Rider Den-O, the latest installment in the Kamen Rider tokusatsu series. Here’s what they all were for the uninformed. 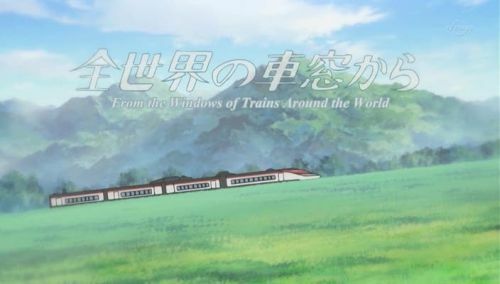 First off is the train Isumi is riding on. That’s Denliner, the time-traveling train that allows Ryotaro and friends to travel through time and fight the Imagin. Being on Denliner, a few characters from the show make an appearance. Here’s the mysterious Owner of Denliner, as seen with his favorite pudding snack that he’s obsessed with. Here’s Momotarou, a good imagin that when joined with Ryotarou allows him to use Den-O Sword Form. Also notice he’s enjoying some of Naomi’s delicious coffee. And finally here’s Hana-san, the heroine of the series, though she really doesn’t do much. Identified by her usual frilly miniskirt. 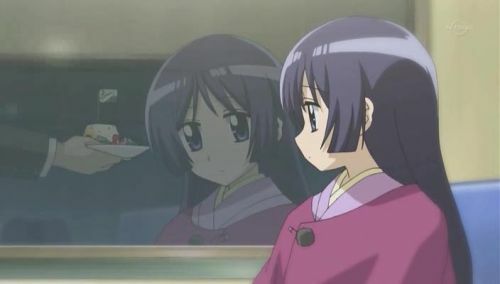 While most of the references are confined to the Isumi segment, some aren’t. Here’s Den-O’s sword form weapon Dengasher striking Azumamiya’s weak point that Hinagiku found so well. And here’s Den-O’s Ax form ax striking again. It took me a while to notice all the references and it wasn’t until I saw Momotarous that I realized the train was Denliner. The rest of the episode was great with all the talk of hissatsu attacks and Kamina’s VA as Nonohara, teaching garness to a new generation. And, yes, I know way too much about what is essentially a children’s tv show, but I can live with that. 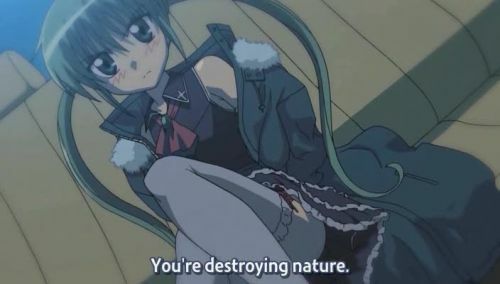 No, Hayate! Your going to cause a time paradox! Finally Hayate the Combat Butler steps into territory I’m unfamiliar with, me having read just the first two volumes, and this was probably the best episode yet. Hinagiku is awesome. The perfect tsundere, niether too tsun-tsun or dere-dere, just incredibly cute the whole time. She really reminds me of a more grown up Nagi, which I guess is the point. Seems like Hayate should be with her more than Nagi. He wouldn’t be arrested either. But we all know he realy wants Maria (who wouldn’t want Rie Tanaka?). And she has mad sword skills! How can I not like a girl who uses swords? Just awesome. She now trumps Isumi in my best girl of Hayate list. Those three other girls who kept talking to the audience were pretty funny too. I especially like the “Hahaha~!” girl. Reminds me of Sayuri a lot. 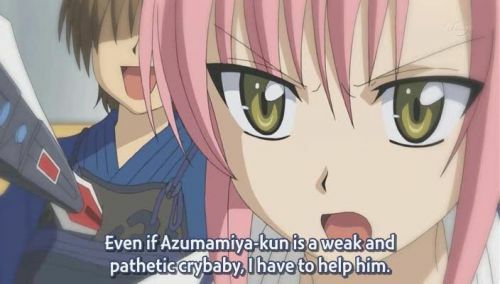 I completely agree with you, Hayate. Ton of great references this time. Of course, there’s the Solid Snake one, complete with five o’clock shadow and cardboard box. You would really think that people would notice a cardboard box. Someone needs to try that in real life (or maybe they have and I just haven’t checked youtube enough). Hinagiku’s sister did the Shinsengumi’s “Swift Death to Evil” motto before using Saitou’s Gatotsu attack. Pretty cool sword fight. 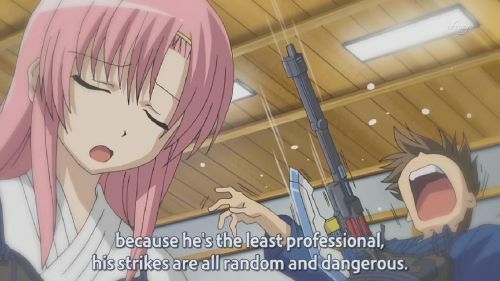 Hayate always seems to be straddling the gulf between comedy series and an action series, but it really does a good job combining the two. I think there was a Fist of the North Star one in there, when Hayate first fought Yukiji. Then there was the pokemon one for Tama and the teacher who spends all his time making gundam models. And referring to Nagi as a Hikikimori. That one really got to me, because it’s true. Desperately needs Nagi ranting about the NHK conspiracy. Next episode introduces the awesomely vapid Isumi, and Hayate’s best gar moment when takes on a bunch of katana-weilding yakuza. Gonna be awesome. 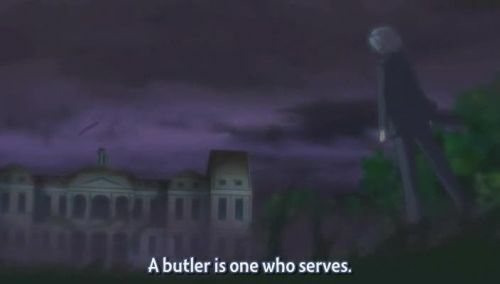 I thought the job of a butler was to butle? Kugimiya Rie returns to her standout role in Hayate the Combat Butler: cute loli tsundere. And hearing her again was probably the best part of the episode. I won’t lie, even though I like Hayate, the first chapters can be downright boring. So, naturally, this transfers to the anime. It still has promise, though. Hayate the Combat Butler begins with the young, hard-working Hayate, son of two deadbeat parents who spend all the money he earns at part-time jobs on gambling, realizing his parents have stolen his money again and sold his organs to the yakuza. 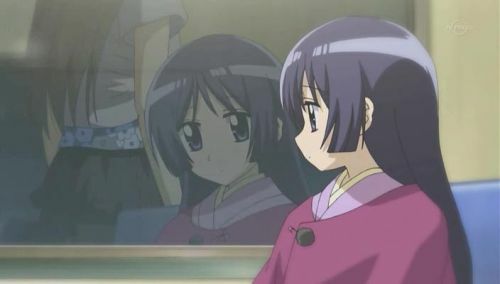 Fortunately, Hayate has mad running away skills and flees the yakuza, only to come across a lost young girl in the park. Thinking like any other person in debt, he decides to kidnap her and hold her for ransom. Doesn’t go as plan, though, as his kidnapping attempt sounds more like a confession of love, or at least it does to the girl. 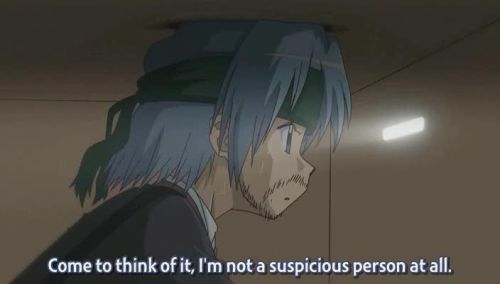 Hayate goes to make the ransom call, but makes a stupid mistake and realizes he fails as a kidnapper and his life is worthless. While waiting to die in the snow, he meets the angelic Maria who gives him her scarf. 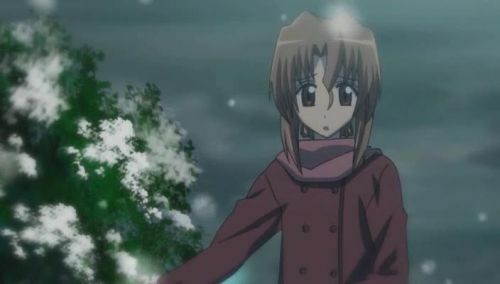 Hayate is reaffirmed in his faith in humanity and goes to rescuse the kidnapped girl. Yes, she was kidnapped by someone else. After bicycling at 100 mph and getting hit by a car at that same speed, he manages to scare the kidnappers off. 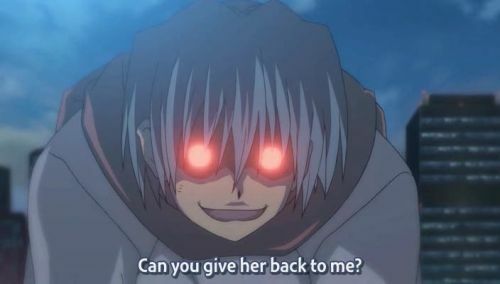 Pissed off Hayate is scary. 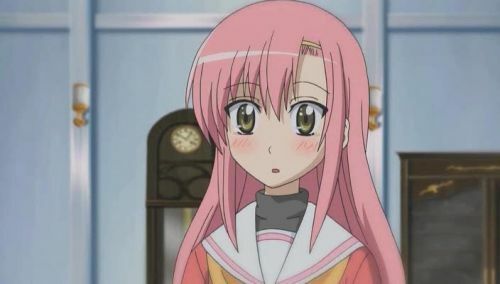 The girl, Nagi, is rescued, and before Hayate collapses from blood loss he asks if she can give him a job. This is how Hayate became Nagi’s personal combat butler. Maria is a maid for Nagi too, just so you know. As I mentioned before, the beginning parts of Hayate are hardly the most interesting. The jokes often fall flat, like that odd reference to Nello, and his beginning stay with Nagi is drawn out to long, or it was in the manga. Only the physical comedy works well, like Hayate getting hit by a car or the irony of Nagi mistaking her kidnapping as a love confession. However, that is not to say Hayate itself is bad. Its physical comedy is great, Hayate is a gartrap who can take on a hundred Yakuza and beat all their asses, Nagi is both incredibly cute and tsundere, and the other characters introduced later are all pretty cool. You just have to get through the beginning chapters. In all other regards the anime adaption is perfect. The animation is nice and smooth, and music is okay (the part where Hayate was about to kidnap Nagi being the best). The OP by KOTOKO was pretty good, too. All the voice acting is perfect. Kugimiya Rie really shines as the bratty Nagi, differentiating enough to where she’s not just another Shana or Louise. 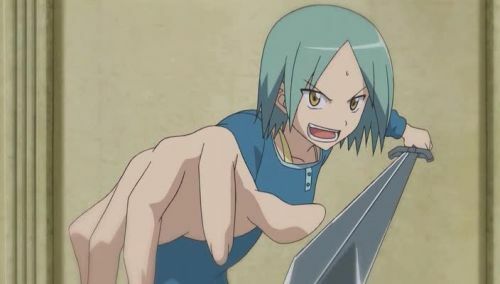 Shiratori as Hayate works well, though I keep expecting him to say Kozue-chan. I couldn’t even tell is was Rie Tanaka as Maria. Don’t know if that is a good thing or not. And Norio Wakamoto is a godly awesome narrator. The only other thing that bugged me was the censorship. The fact that Hayate’s parents sold his organs was only implied, and they didn’t show him bleeding. Just how early is Hayate airing? I mean, censorship! IN JAPAN! Blasphemy. What’s the world coming to? Hopefully the anime can move through the opening chapters quickly and get to the good stories.